Just after Ebola was declared over in Sierra Leone in November 2015, the proprietor of Sanaya Memorial Academy, situated at Robis in Lungi saw an urgent need to revive academic activities in that area. 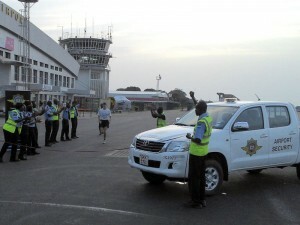 Being the only secondary school in the Robis community, Mr. Malie Kamara and his team approached the Westminster Group Foundation by applying for assistance through Westminster Aviation Security Services at the Freetown International Airport. The school was in dire need of additional structures, teachers, learning materials and school furniture to accommodate and cater for the growing number of school-going children in the community who had lost a whole school year as a result of the health crisis in the country at the time. The request/application for assistance was then forwarded by the then General Manager of WASS, Mr. John Drummond. Communication ensued between the Sanaya Memorial Secondary School administrative team and Mr. Alan Wolstencroft, who tirelessly mobilised resources through fundraising to help the school. 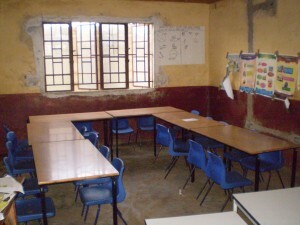 A two-classroom building project was budgeted for and launched in 2017 through an agreement that the school must provide an initial 30% of the funding for the project. 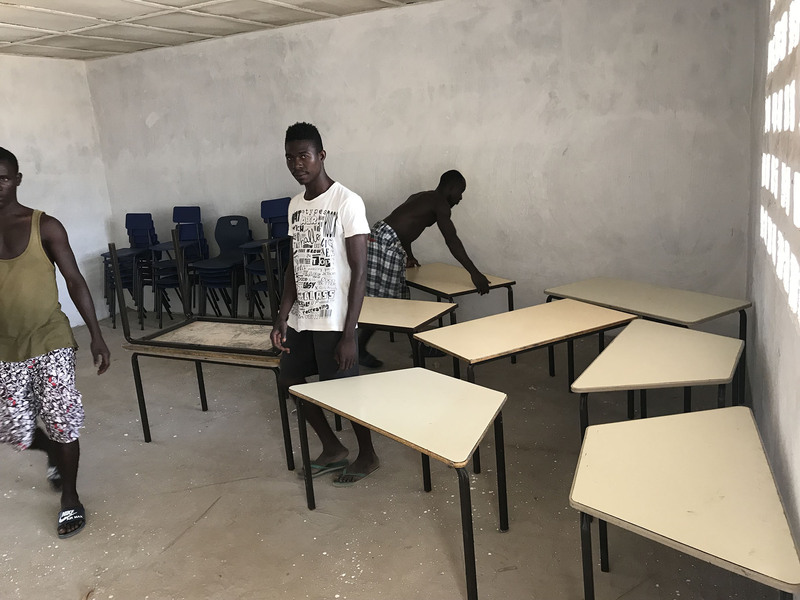 In what was supposed to be a two-classroom building, the school’s administration went the extra mile and pulled resources to extend the project to three classrooms. This greatly amazed and impressed the Westminster Group Foundation donours when they came to officially open the new building in April 2018. Apart from commissioning the building on that day, several other donations were made to the school which include hundreds of stacking chairs, several dozens of desks, cabinets, football kits for the school’s soccer team and learning materials. There are ongoing efforts to start a four-classroom building that will help the school start a one-shift school day instead of the current two shifts. The administration, pupils and the entire Robis community are extremely grateful for all the timely help that the Westminster Group Foundation has given to Sanaya Memorial School through Alan Wolstencroft and WASS. 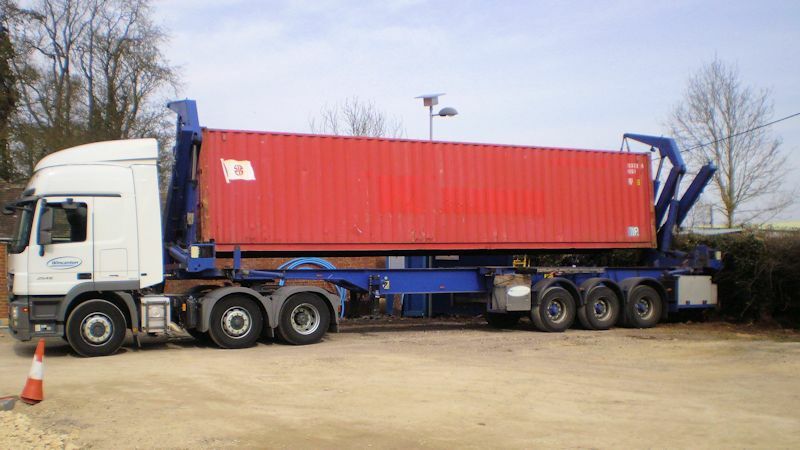 Westminster Foundation recently utilised the unused space in a sea freight container being sent to Sierra Leone by the Westminster Group Plc. 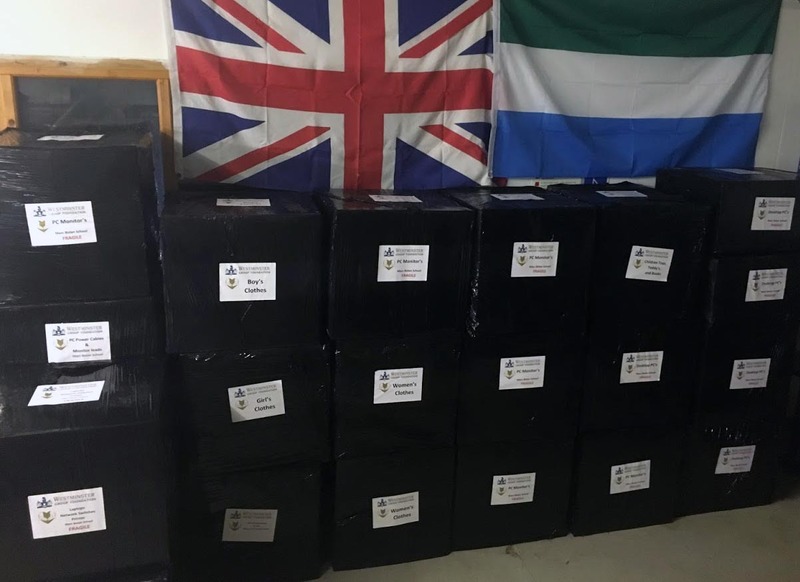 The space which was approximately 50% of the container was used to ship humanitarian aid items for a number of projects that Westminster Foundation are involved with the Freetown area. 140 plastic stacking chairs, 20 school tables, a steel filing cabinet & steel storage cupboard will be donated to the Sanaya Memorial Academy School which the Foundation supports. Wheelchairs, zimmer frames, commodes, privacy screens, crutches & walking sticks will be donated to a local clinic. A consignment of assorted books will go to the Liverpool Community School in Waterloo, a project run by one of the Foundation Trustees, Alan Wolstencroft. There is also a large amount of clothing and sports kit that will be distributed to several communities located close to the airport where Westminster are based. 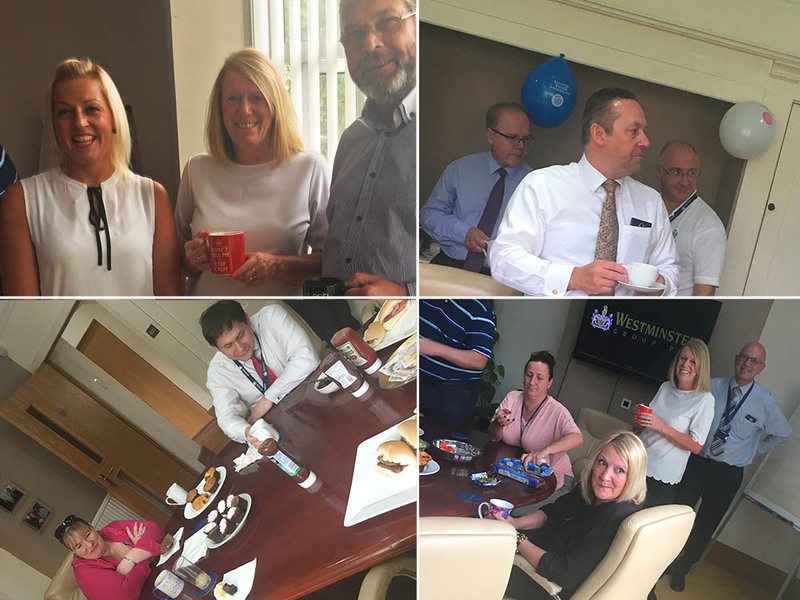 On Thursday 11th May 2017 staff at Westminster Group plc held a coffee morning supporting Katharine House Hospices’ ‘Care for a Cuppa’ initiative. Staff gathered for Tea, Coffee, Bacon & Sausage rolls, cakes, pastries & fruit, whilst supporting Katharine House with donations for their morning treats. Through staff donations and Westminster Group Foundation matching this we were able to deliver a cheque for £200 to Katharine House, to add to their campaign. Westminster Group plc have supported Katharine House Hospice with various fundraising activities over the years including Fireworks displays, raffles, Christmas Card collections and we were very pleased to have the opportunity to do so again. Thank you to all who came and to those who prepared the coffee morning. 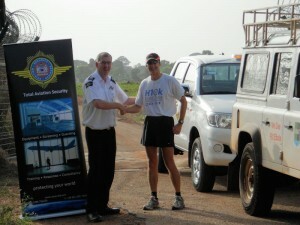 We are please to announce that a shipment of computer equipment and clothing is on it’s way to Sierra Leone. Computer equipment was donated by Allseas Global Logistics on behalf of the Light of Love foundation. This will be sent to the Marc Bolan School Of Music And Film, Makeni, Sierra Leone. 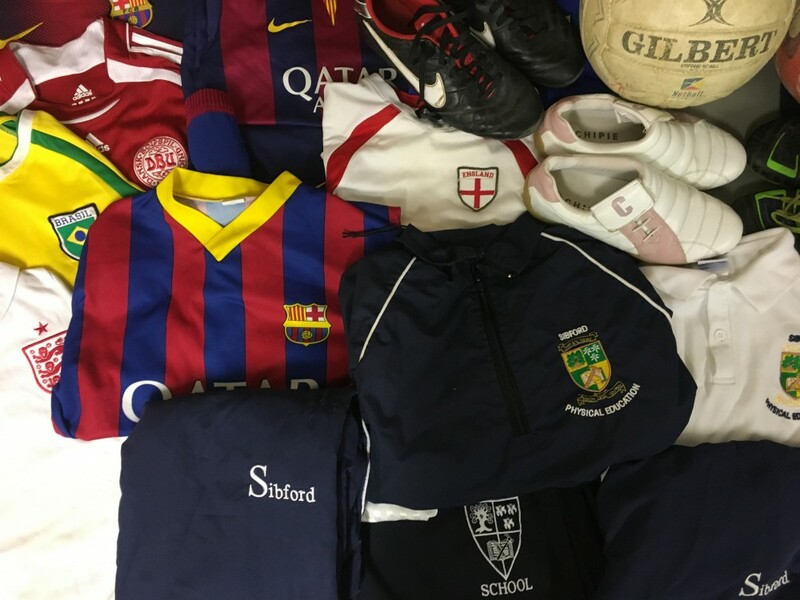 Clothing was donated by Westminster Staff and Staff & Pupils at Sibford school. Many thanks to all those that have made contributions. They are very much appreciated by the foundation and those who will be helped. 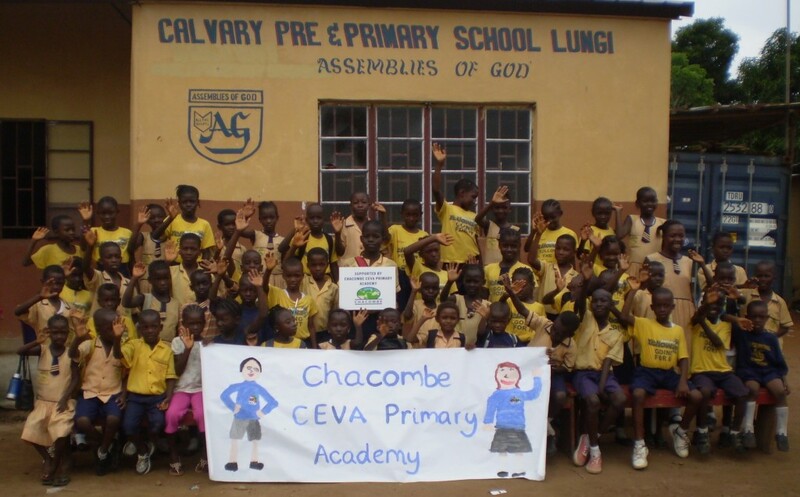 As part of the ongoing initiative between Chacombe CEVA Primary Academy and Calvary School Lungi Sierra Leone the children of Chacombe sent 100 kit bags purchased with money raised from their weekly tuck shop. They filled the bags with exercise books, pencils, rulers and pencil sharpeners along with letters and pictures from each child. 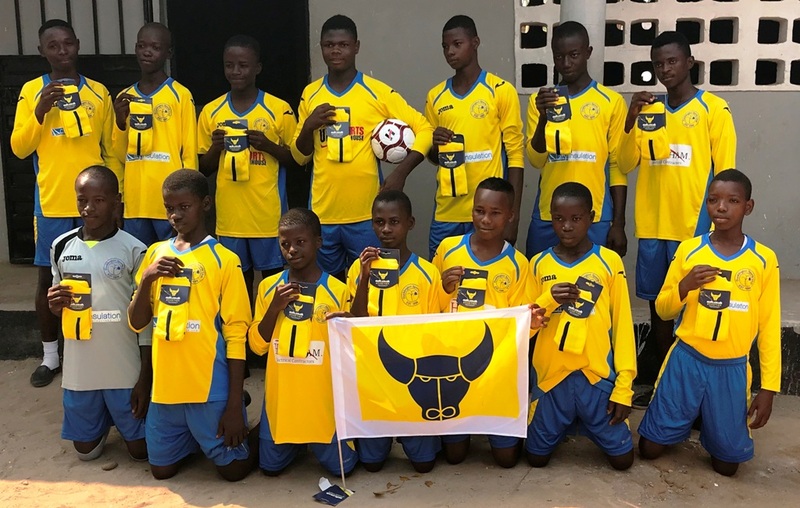 The kit bags were split into age groups and handed out to the children of Calvary School who were over the moon with them and have sent letters and pictures back saying thank you for the lovely donations. Some of the parents from Chacombe School as well as staff from Westminster Group donated clothes and shoes and these were all handed over to Calvary school to distribute to the children. Calvary school is a Christian School with approximately 120 children. This number has grown recently due to generous donations and sponsorships from members of the Banbury Rotary Club paying for some of the children’s annual school fees. A mere £30 per child allows them to attend school for a whole year. 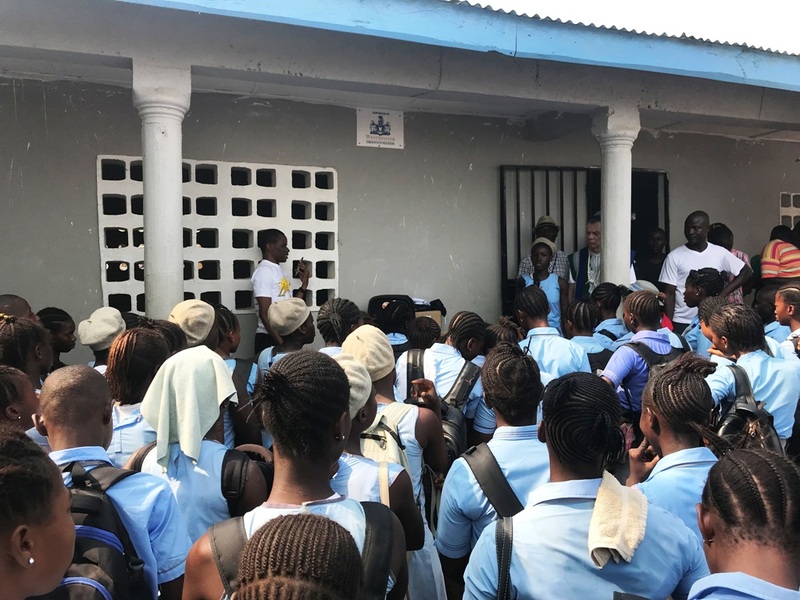 The recent Ebola crisis saw the schools closed for many months and even when they reopened numbers were greatly reduced due to parents not being able to afford the fees so seeing the numbers now climb to 120 is fantastic news. Well done and thank you to the children of Chacombe School for their continued support. I am writing to you to show my great appreciation to the Westminster Group Foundation for shipping out therapy equipment for our disabled children for us. 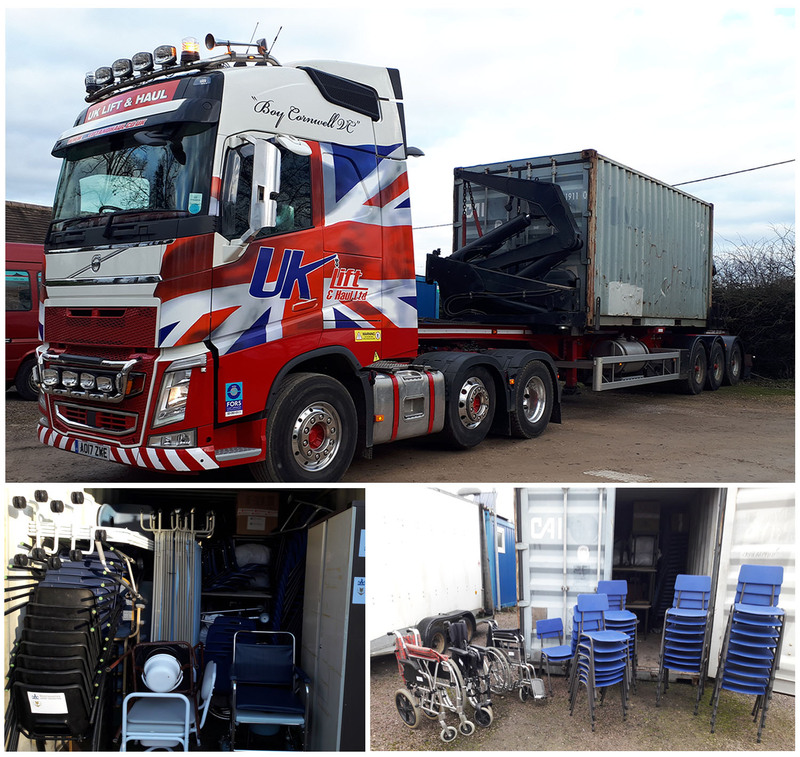 We were so happy to receive the leg gaiters, stability boots, assessment table, positioning bag and the mobility trolley, which would have been impossible to get out here without your help. 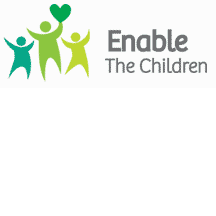 Enable the Children is on an exciting journey as we have recently been taken over by World Hope International. We are hoping that we might be able to continue to expand our team and our work to improve the quality of lives of over 400 disabled children in Freetown. Once again, many thanks for helping us in our work. Thanks to the generous donations to our recent Ebola appeal we have been able to make a good start in helping the local community in Sierra Leone as they begin to recover from the effects of the Ebola outbreak. This was continued with the shipping of the latest container of humanitarian aid supplies to the region. The container was packed with filled boxes containing clothes, shoes, educational supplies, school uniforms, school equipment, toys etc This will help families who have been unable to earn a living during the crisis or children unfortunately orphaned as a result. The container has just arrived in Sierra Leone and should be unpacked in the next couple of weeks. 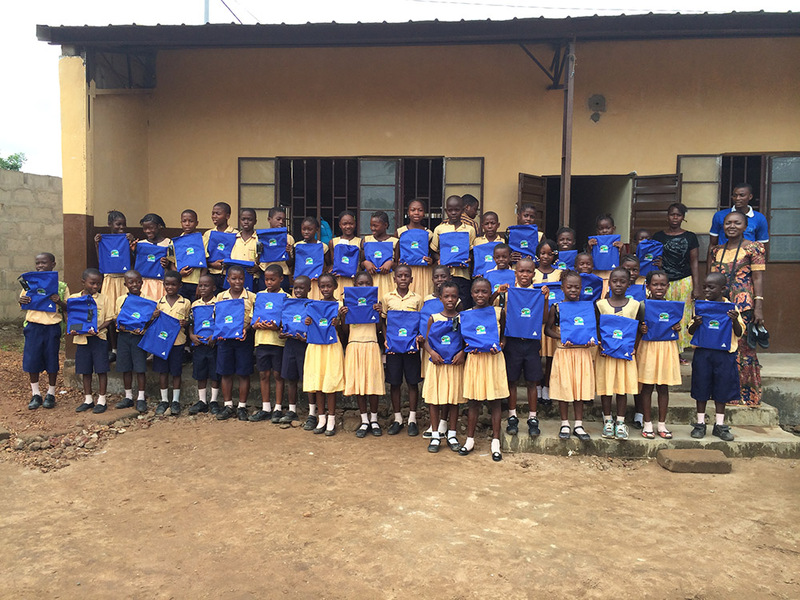 The school supplies are particularly timely as schools have just started to go back following several months closure during the Ebola Crisis. Many children are now back in school but some parents have struggled to pay the small school fees to be able to send their children back, having been unable to work during the crisis. School fees are typically only around £10 a term per child, but what may seem a relatively small sum to us, it’s the price of a cinema ticket or 3 cups of coffee!, will be hard for some families to find. Education is more important than ever for these children, and should anyone wish to donate towards this they can do so through the website or by contacting us directly. Many thanks to all those who have supported our appeal so far, your contributions, both financial and in goods, are very much appreciated by us and those who will be helped. 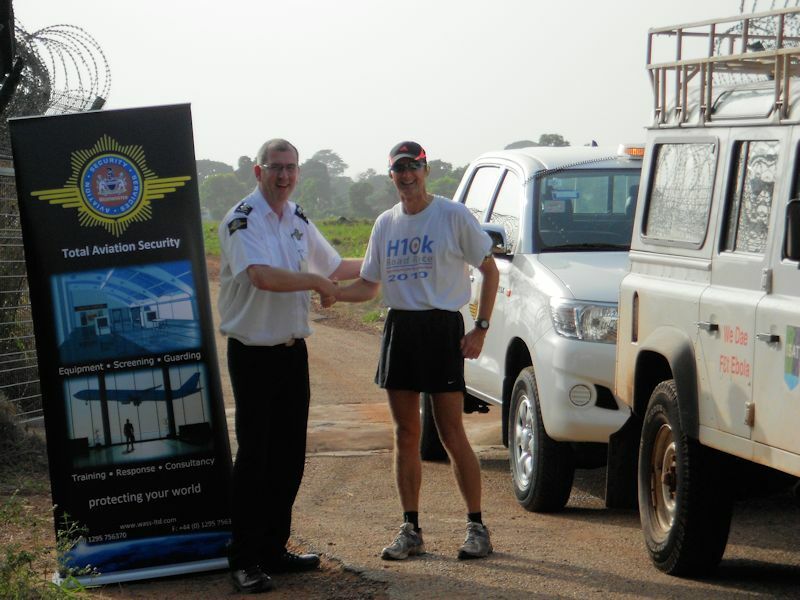 Nigel Bostock, a RAF Policeman NCO, currently working at Freetown International Airport in support of the Department for International Development-led effort to combat the spread of Ebola, has undertaken a solo half marathon, running 13 miles around the airfield to raise funds for the Foundations work in the local area. Local Westminster staff were on hand to provide support to Nigel. Donations are still coming in but to date several hundred pounds have been raised by Nigel, with donations coming from the local community at the Airport, colleagues, family and friends of Nigel’s including his local church. It’s not too late to support Nigel’s run and should anyone wish to donate they can do so through the Foundations Donation page. 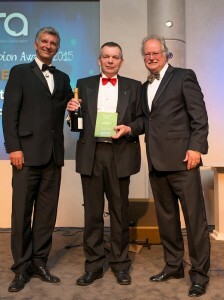 Well done and many thanks to Nigel. 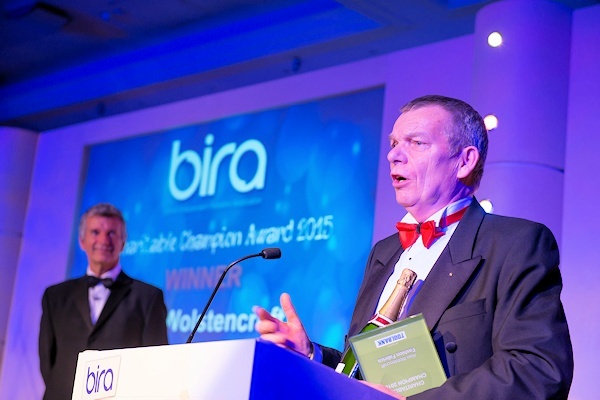 At the recent BIRA Conference our Trustee Alan Wolstencroft, the owner of Fashion Fabrics in Banbury, was awarded the Charitable Champion Award, at the Gala Dinner, for his outstanding work in Sierra Leone. 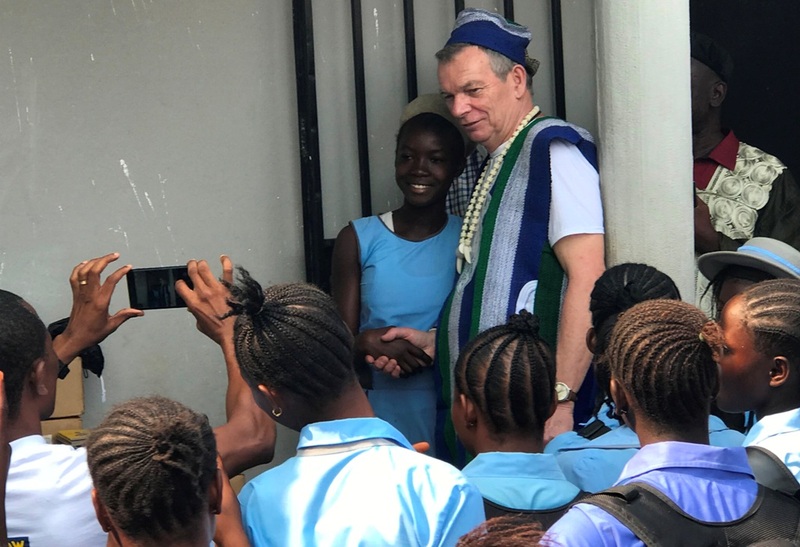 Delegates were informed that during the past year, although Alan had not visited Sierra Leone because of the e-bola crisis, he had continued fundraising for the development at 3 schools that he supports including providing subsistence allowances for the teaching staff. Alan had undertaken 36 speaking engagements raising £14,350 of a total of £33,600 raised during the year. 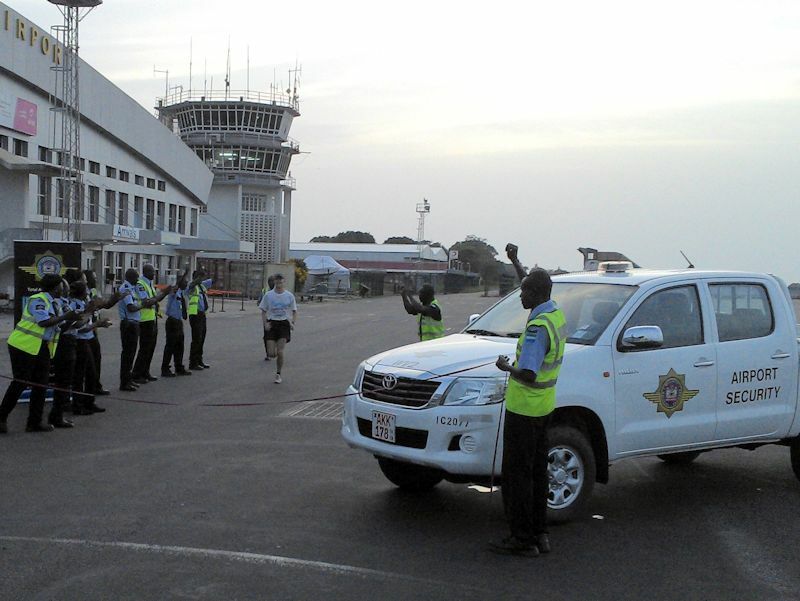 Since his first involvement in Sierra Leone, 10 years ago, Alan has delivered 290 talks raising a total of £63,400 of a total of £124,100 for his Sierra Leone projects. Alan was presented with a certificate, a plaque and a bottle of champagne and a cheque for £1,000 towards his ongoing projects. 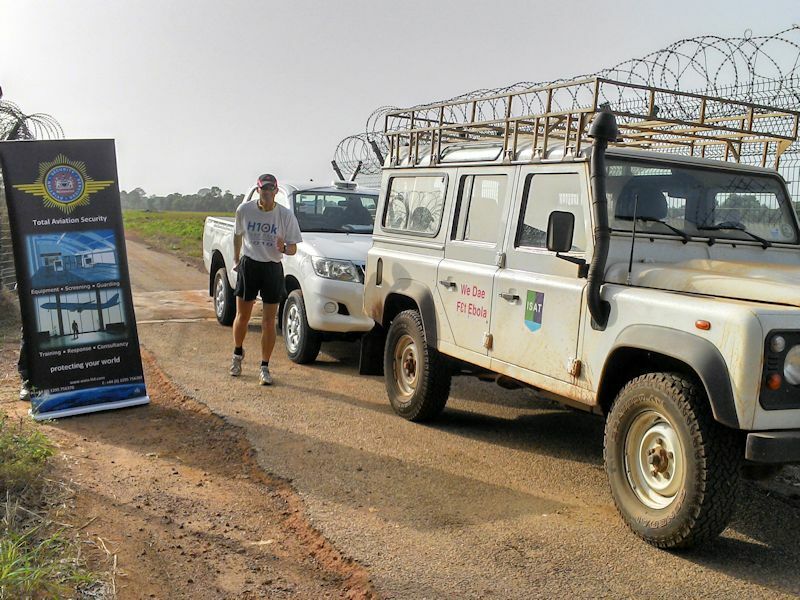 Alan acknowledged the support that he receives from his family, his staff, customers and suppliers, BIRA members, Westminster Group PLC, Goodwill & Growth for Africa UK Banbury Rotary Club and dozens of organisations and hundreds of individuals. Alan explained that he is returning to Sierra Leone at the start of June and some of the money may well be used to pay school fees (£10 per term) for children whose families cannot afford to pay the fees due to the increased cost of living caused by the e-bola situation. Alan explained that every £ goes directly to the projects and that the money will help him to continue to “make a real difference” in Sierra Leone.